This is my guitar. There are many like it, but this one is mine. OK, OK, enough with the Full Metal Jacket schtick. I have heavy musical influences on both sides of my family. On my dad’s side, I got an intense love and appreciation for all kinds of music, namely the blues and rock n’ roll. From my mom’s side, I got the musicianship gene. My mom played the piano, my great aunt played the mandolin, and my grandma and both my great uncles played the guitar. The guitar in that picture was my grandma’s. The story changes a little depending on who’s telling it, but the way I know it, she bought it in 1961. It was manufactured possibly as early as the late ’40’s, but it’s hard to pinpoint because theses particular guitars have no serial numbers. My grandma was an aspiring country and western singer, and this was her primary guitar. She gave it to me in the mid-nineties. She said she wasn’t playing it anymore, and didn’t want to make me wait until she died for me to start enjoying it. It’s been in my possession ever since. It’s worth a little bit, though not much by guitar collector standards. But to me it’s priceless. It’s sitting three feet from me as I type this, and just looking over at it makes me happy. And it feels even better to play it. As I got to my teens and beyond, the music I liked tended to be loud, fast, and heavy (or some combination thereof), so it’s never been my primary guitar. It’s got a warm, sweet sound that lends itself more to jazz and blues than punk and metal. But now that I live in Tornado Alley, if there is ever a legitimate threat of a twister coming my way I have two priorities: Make sure my wife and dog are safe, and if at all possible, grab that guitar. 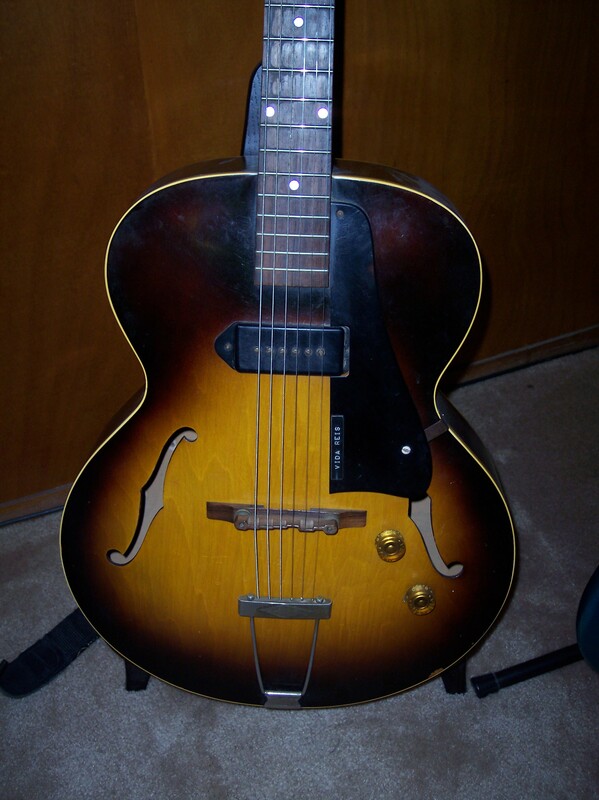 This entry was posted in Music, Other and tagged A-Z Challenge, guitar, music. Bookmark the permalink.